Korean developer Pearl Abyss is gearing up for a strong 2018 between the upcoming Black Desert Online Xbox One port, the continued support of Black Desert Online on PC and the launch of Black Desert Mobile on Android and iOS devices. Today, a press release shared with us a developer Q&A session that delivers plenty of concrete details for fans of the game. There’s no release date set in store yet for Black Desert Mobile, but we’ll keep you posted about it. How will the servers be configured? We’re taking great care about how we set up the servers so that many users can play together with minimal issues. The gameplay field will be composed of zones (similar to channels in other games). Unlike in the PC version, you can only meet with other adventurers if the server and zone are the same. The server names have not been decided yet. What is a family name and how does it work? The ‘Family name’ in Black Desert Mobile is a very important part of the game that is used throughout the server. Once created, the family name will be used on all servers, and it becomes the nickname that is unique to you on every server visible to other users. The character limit for your family name will be 2 to 10 letters. In addition, we plan to have an event that will allow you to reserve your family name before the official launch. What skills will the starting characters be able to use? The classes that will be released are Warrior, Ranger, Giant, Witch, and Valkyrie. The basis of the skills will be the same as the PC version but there will be new skills or skills that will be applied differently on mobile depending on the class. There is also a Black Spirit skill that is only available on mobile. How much can I customize my character? The customization system in Black Desert Mobile shows the highest level of detail in existing mobile games. In addition to facial features, you can change the length and style of the hair, and even the body shape can be customized. Although there will be differences between mobile and PC, you can still create the same character as if you were playing the PC version. Please note that the ‘CustomizationData’ file used in the PC version is incompatible and cannot be applied to the mobile version. Will there be a weight system in the game? There will be a weight system like the PC version of Black Desert, but the weight constraint will be applied differently. Even if the weight is exceeded, you will still be able to participate in battles. Is it possible to register all items in the marketplace? The marketplace system is set up to make the acquisition of game money as well as various goods easier, and allows users to enjoy the game with more versatility. At the marketplace, users will be able to purchase with silver which anyone can acquire, and you will be able to register most acquired items for sale with a few exceptions for special items. All transactions can only be made at the marketplace. Users will not be able to make user to user transactions outside of the marketplace. Some users may enjoy the thrilling excitement of taking a chance, and some users will prefer to minimize the burden of failure and enhance their equipment steadily instead. This is the reason why we made the equipment enhancement system so that users have a choice in how they want to enhance their equipment. Black Desert Mobile is preparing to minimize the stress involved with enhancement so that users can enjoy the process of acquiring items and enhancing them as much as possible. What kind of guild content is there and what are the conditions for guild creation? Although the conditions for the creation of a guild are minimal, it is set up to minimize the creation of temporary guilds that are deleted shortly after creation. Guild content will be continually updated after the official release, and the internal test results will be used to adjust the balance and improve the content. Although it is subject to change, the number of people who can join the same guild when it is first created, will be about 30 people. A guild base where guild members can hang out as well as Guild Raids will be available starting from the official release. Node and Siege Wars will be further released with future updates. What are the minimum and required specifications for my device? Currently we’re optimizing the game so anything with specifications that are similar to a Galaxy S5 will be able to run it. Since the game is not fully optimized yet, we are still unable to give the minimum/required specifications for it at the moment. We will be sure to update everyone with that information in the near future. Can I connect my Google/Apple accounts? Black Desert Mobile officially supports logging in with Facebook and Google accounts. We’re also preparing to allow gameplay with guest accounts. If you log in using official login methods, you’ll be able to log back in to your original account easily after logging out or changing devices. Do you have plans to allow cross-play between the PC and mobile version? 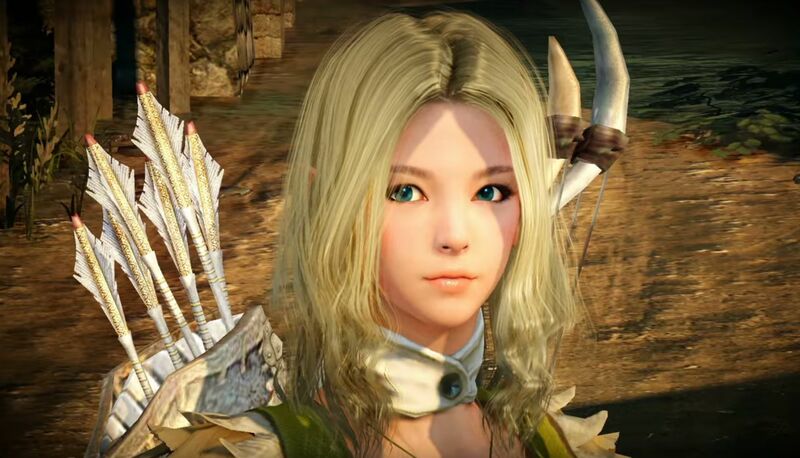 Although Black Desert PC and Mobile are based on similar systems and the same engine, due to the different gameplay environments, you will notice many differences between them. They are separate games despite having the same DNA, and our goal is to bring you the highest performance and maximum fun that is the best for each environment..
Will there be difficulties playing the mobile version if I’ve never played the PC version? There won’t be any difficulties. If you have experienced the PC version of Black Desert first, you may find it easier to understand game terminology, and it may be fun to compare the differences between the two versions. However, you will not have any trouble enjoying Black Desert Mobile even if you haven’t played the PC version first. We’re trying our best to make the game easily accessible and enjoyable for users who are totally new to the Black Desert world.